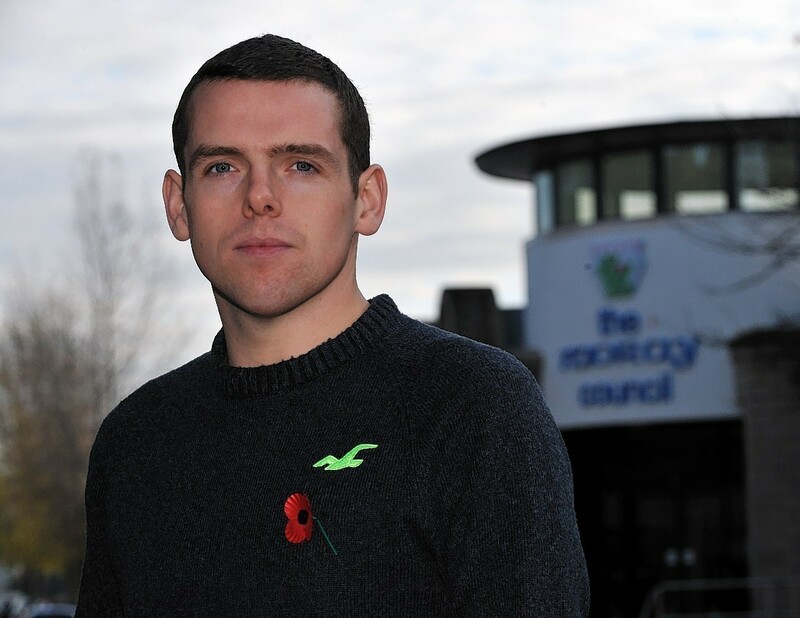 A senior Moray councillor who found himself at the centre of the local authority’s recent upheavals will fight for a Westminster seat in next year’s general election. Douglas Ross has been chosen by members of the Moray Conservative Association to be their candidate in May 2015. Mr Ross was recently ousted from the council administration as part of a major shakeup following the resignation of council leader Allan Wright over defeated school closure plans. He was also relieved of his responsibilities as chairman of the planning committee and the police and fire and rescue services committee as long-running political tensions within the local authority’s power structure boiled over. The councillor for Fochabers – Lhanbryde stood for the Westminster seat in 2010 when he reduced the majority of the SNP’s Angus Robertson. This time he believes he can “finish the job”. Councillor Ross said: “I’m absolutely delighted to have been selected, and it’s a real honour to be chosen to fight my home constituency. I believe that I can win in Moray. Conservative Association Vice-Chairman Alex Griffiths said Mr Ross’s recent run-ins at Moray Council had counted in his favour as a candidate and would stand him in good stead as an MP. “The entire association is looking forward to getting behind Douglas,” he said. “He has shown during his time on Moray Council to be someone who knows his own mind and is very capable of acting independently even if it goes against the policy of the administration. In fact he is very well-known for that – as recent events on the council prove only too well.